Comodo Internet Security automatically protects system critical registry keys against modification. Irreversible damage can be caused to your system if important registry keys are corrupted or modified in any way . It is essential that your registry keys are protected against attack. 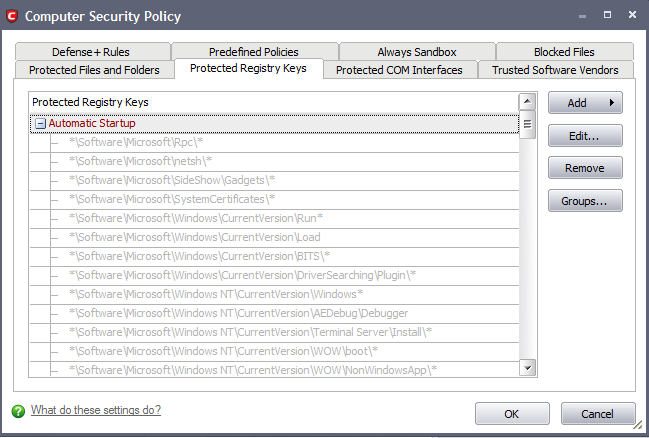 In order to access Protected Registry Keys interface, navigate to: Defense+ Tasks > Computer Security Policy > Protected Registry Keys. The 'Registry Groups' option allows you to batch select and import predefined groups of important registry keys. Comodo Internet Security provides a default selection of 'Automatic Startup' (keys), 'Comodo Keys', 'Internet Explorer Keys', 'Important Keys' and 'Temporary Keys'. The 'Registry Entries....' option opens the Windows registry editor within the Comodo Internet Security interface and allow you to select individual keys. 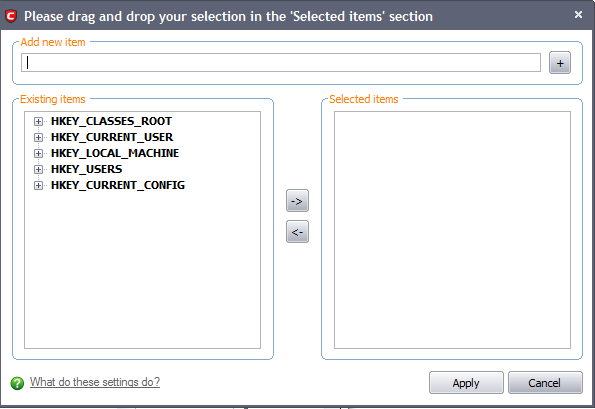 You can add items manually by browsing the registry tree in the right hand pane. 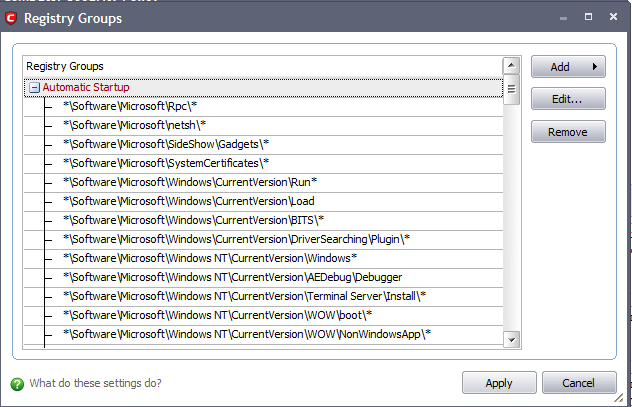 Drag & drop specific registry keys into the 'Selected Items' pane. To add item manually enter its name in the field and press the '+' button. The 'Groups...' button allows the user to access the 'My Registry Groups' interface. Registry groups are handy, predefined groupings of important registry keys. Create a new registry key Group by clicking the 'Add' button. Edit the names of existing registry key Group or individual key by right-clicking and selecting the 'Edit'. Re-assign registry keys to another group by dragging and dropping.